Play up your look with the unique beauty of the + Melissa Luxury Shoes™ Vivienne Westwood® + Twist Slide Sandal. Slip-on construction with adjustable buckle slingback strap. Iconic orb emblem hardware at side. 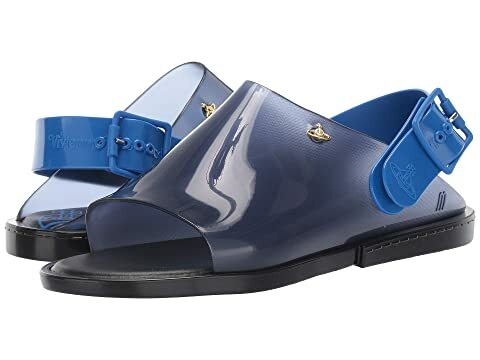 We can't currently find any similar items for the x Vivienne Westwood Anglomania Twist Slide Sandal by + Melissa Luxury Shoes. Sorry!